John Emery Clarke was born July 18, 1911 in Parsons City, Kansas. 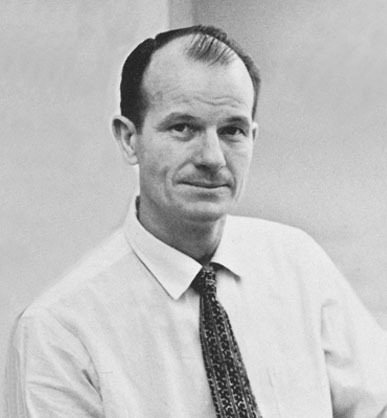 His father, Charles E. Clarke, was a concrete contractor. His mother was Nora B. Clarke. There were four children in the family. They lived at 109 North 13th Street. In 1932 Emery Clarke studied on scholarship at the Kansas City Art Institute in Kansas City, Missouri. 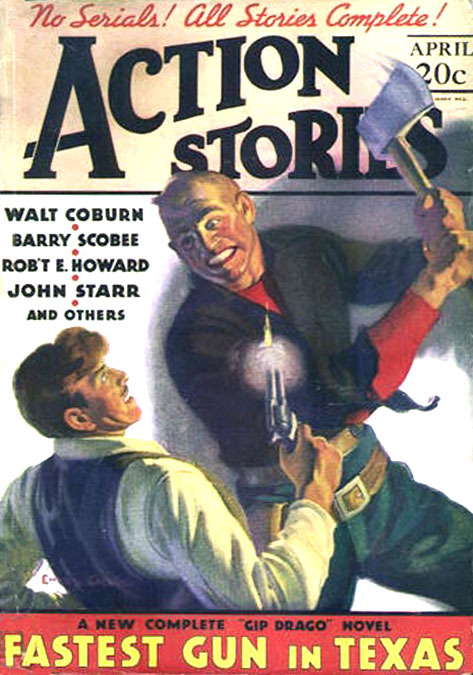 One of his more influential art teachers was the magazine illustrator, Monty Crews. 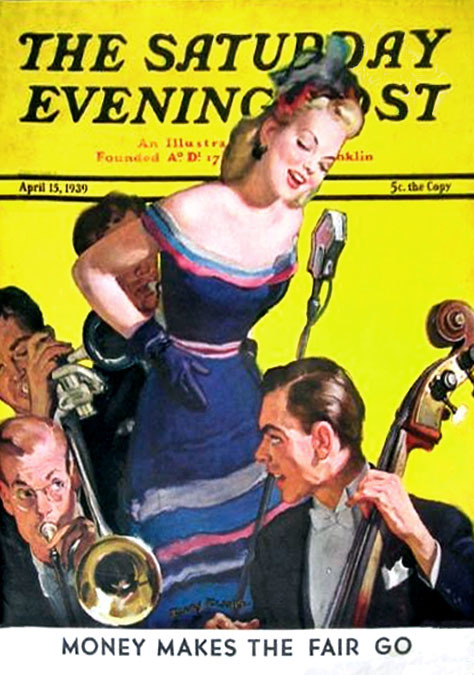 He moved to New York City in 1936 to find work as a magazine illustrator during the Great Depression. 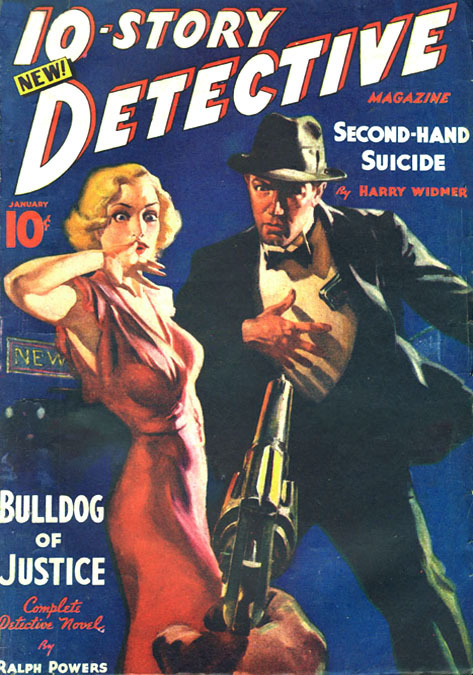 He was a next-door neighbor of Rudolph Belarski, for whom he occasionally posed. 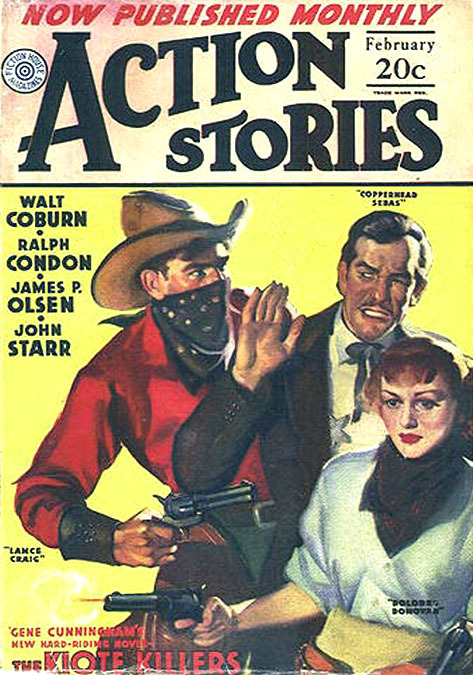 He painted freelance covers for pulp magazines such as Action Stories, Fight Stories, Love Romances, Short Stories, Rangeland Romances, Star Western, Ten Detective Aces, 10-Story Detective, and Top-Notch. 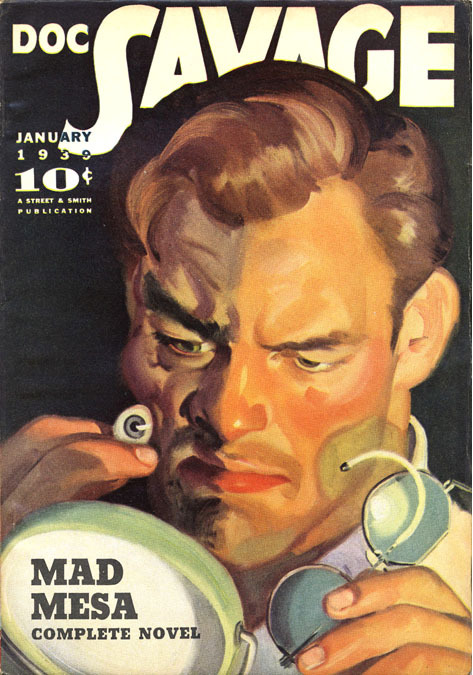 He also painted several covers for Doc Savage. 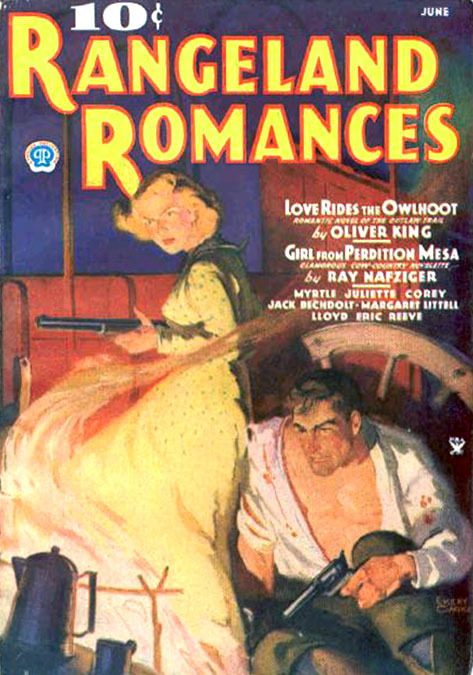 In 1938 he married and moved to New Rochelle, NY, where many other famous illustrators lived and worked, including his pals Richard Lyon, Rudy Belarski, R. G. Harris, and Graves Gladney. 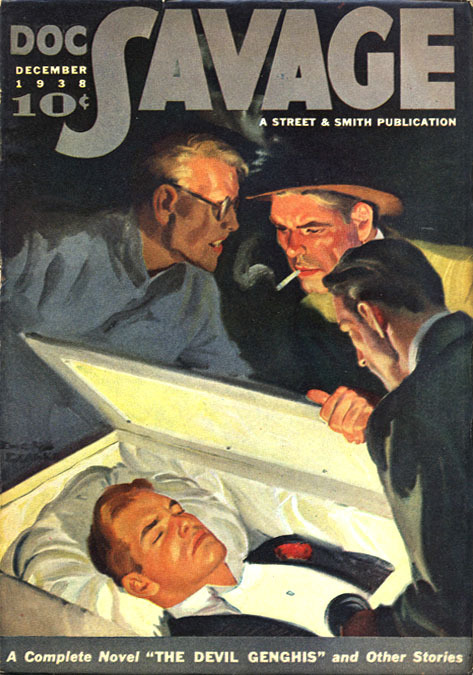 The friendship between Clarke and Gladney is poignantly recorded on the December 1938 cover of Doc Savage, which features a self-portrait of Emery Clark (top left with gray hair and glasses) beside a portrait of Graves Gladney (in center with fedora and cigarette). 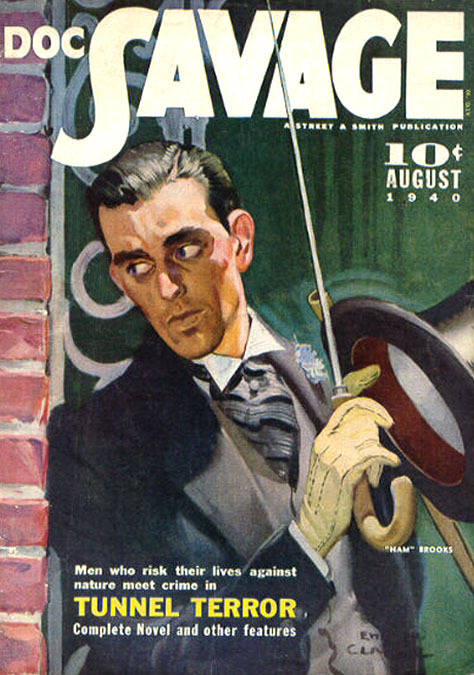 In 1939 Emery Clarke submitted an unsolicited cover painting to The Saturday Evening Post, which was accepted for publication. 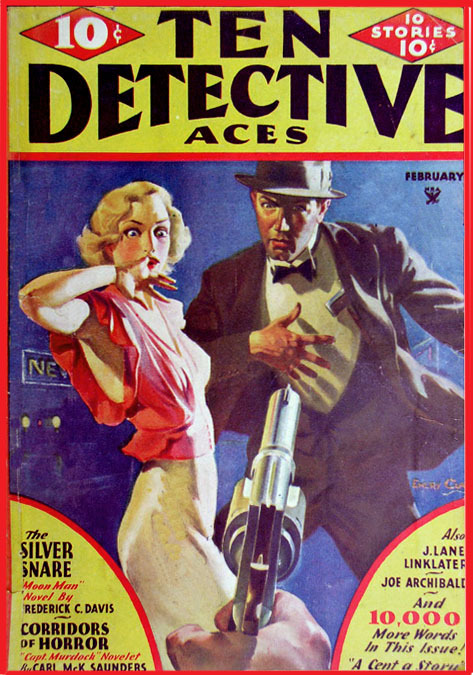 He then left the pulps behind and moved on to a successful career illustrating slick magazines, such as Look, This Week, and Liberty. 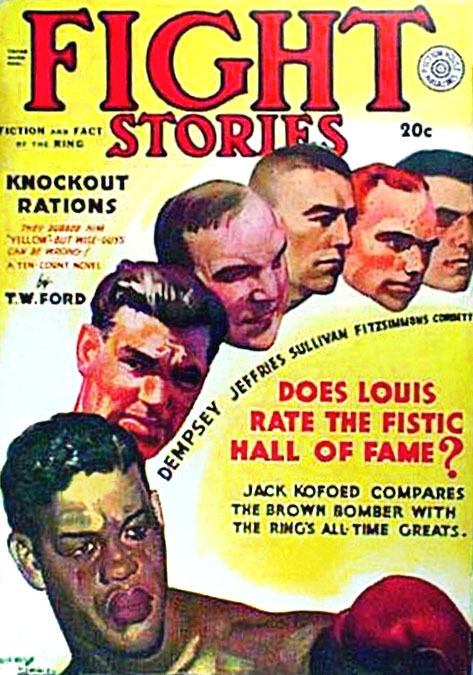 During WW2 Emery Clarke was drafted and assigned to work on training films at Canute Field, Illinois, where he met the cartoonist Russell Stamm, who had created the comic strip, The Invisible Scarlet O'Neal. 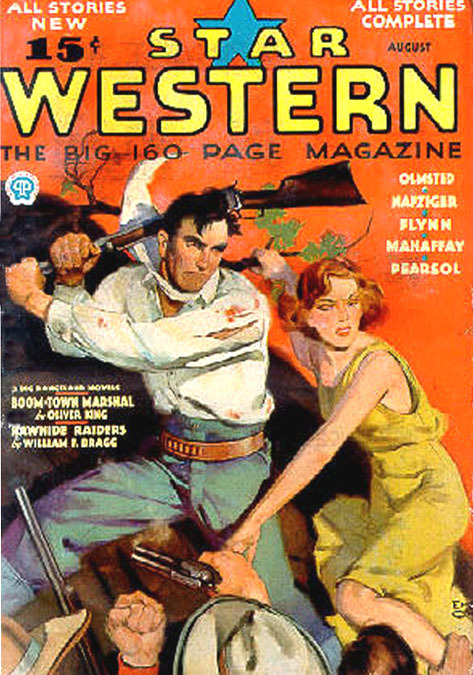 After the war, Clarke and Stamm teamed up to work on this popular syndicated comic strip for ten years. In 1958 Emery Clarke moved to Westport Connecticut, where he became an art instructor at the Famous Artists School. 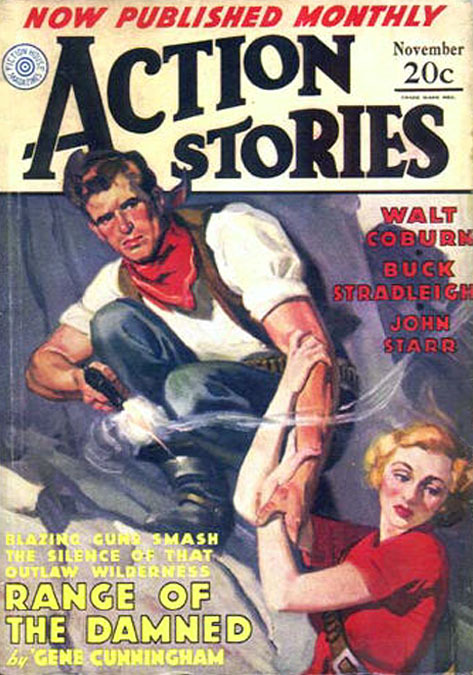 According to a fellow art instructor at the Famous Artists School, Walt Reed, "When Emery Clarke wasn't wielding a brush, he was also a cook, a carpenter, a dancer, a guitar player, a camper, a kayaker, and a high-ranked handball player!" Emery Clarke retired to Arrington Virginia, where he died at age 79 in November 17, 1990.